Are you hosting a New Year’s Eve party this year? Last year my 2-year-old was the only one who made it to midnight, so this year, I’ve been trying to come up with some ideas to keep the rest of the family awake long enough to ring in the new year. 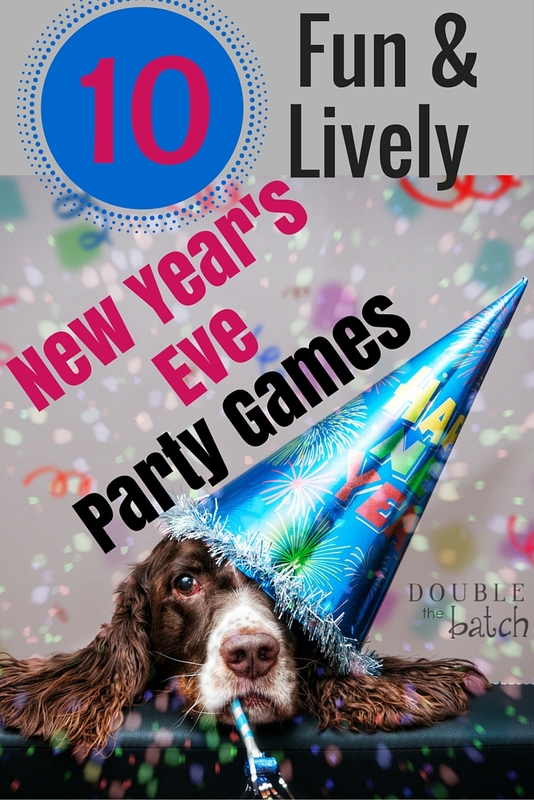 Here are 10 New Year’s Eve party games to help me and you make the most of this fun night. You can make most of them work for both kids and adults, but there are a few that would work better for adults. 1- Have a Karaoke Party using the top 20 Songs of the Year. 2- Word Scramble of the names of the top 10 most news worthy people of the year. 3- Trivia game of the year’s most memorable events. Here is a great site where they have put together questions and answers for you from pop-culture to currents events. 4- Go around the circle and share the biggest lesson you learned this year, funniest moment of the year, most embarrassing moment of the year, scariest moment of the year, etc. 5- Pictionary using words or phrases that relate to the events of the year. 6- Freeze dance to the biggest hits of the year. Every time the music stops playing, you have to freeze. Whoever makes the last move is out. The last person dancing is the winner. 7- Finish My New Year’s Resolution Game. Sit around a table and have several small pieces of paper. Have each person write the first 2 or 3 words of their New Year’s resolution, then pass the paper and have the next person add 2 or 3 more words, then pass again as many times as you want. Be as creative as possible with your word choices. Then, have every one read their New Year’s resolution. The result is pretty hilarious. 8- Charades using words or phrases that relate to the events of the year. 9- Movie trivia game for the biggest movies of the year. 10- Minute to Win it games. Visit theidearoom.net to find some great New Year’s Eve adaptations of popular minute to win it games. What are some fun games you like to play on New Year’s Eve?